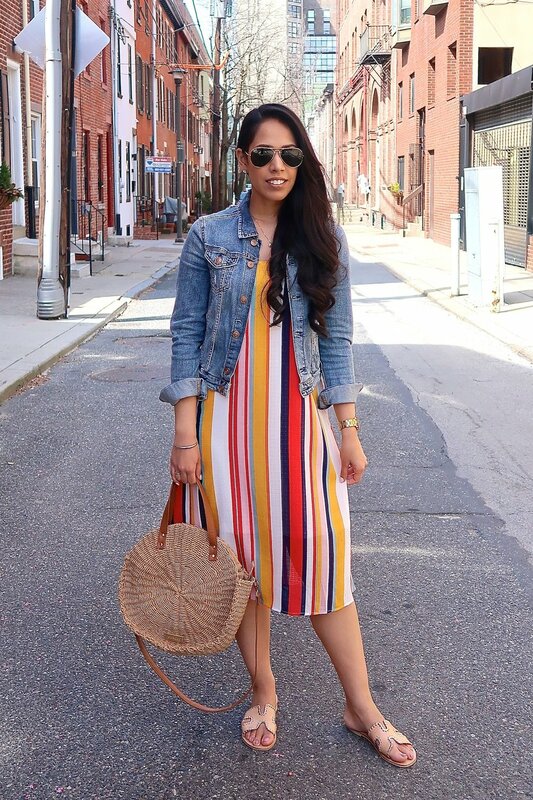 Spring is in full force here in Philadelphia and I am LOVING it! One thing that I love about Philadelphia are the beautiful trees scattered about the city. Seriously, could anything be more beautiful than cherry blossom trees? 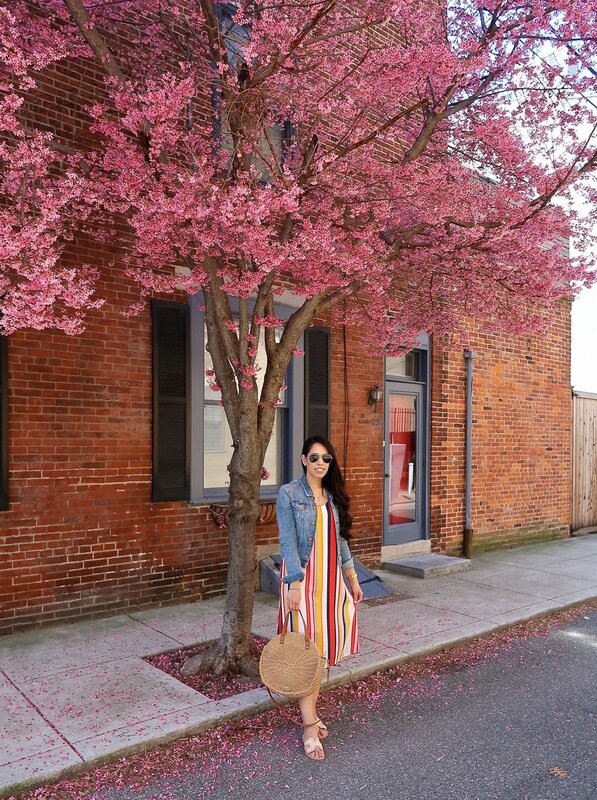 One trend that I love for the spring is layering a dress under a denim jacket! It’s so effortless yet chic. 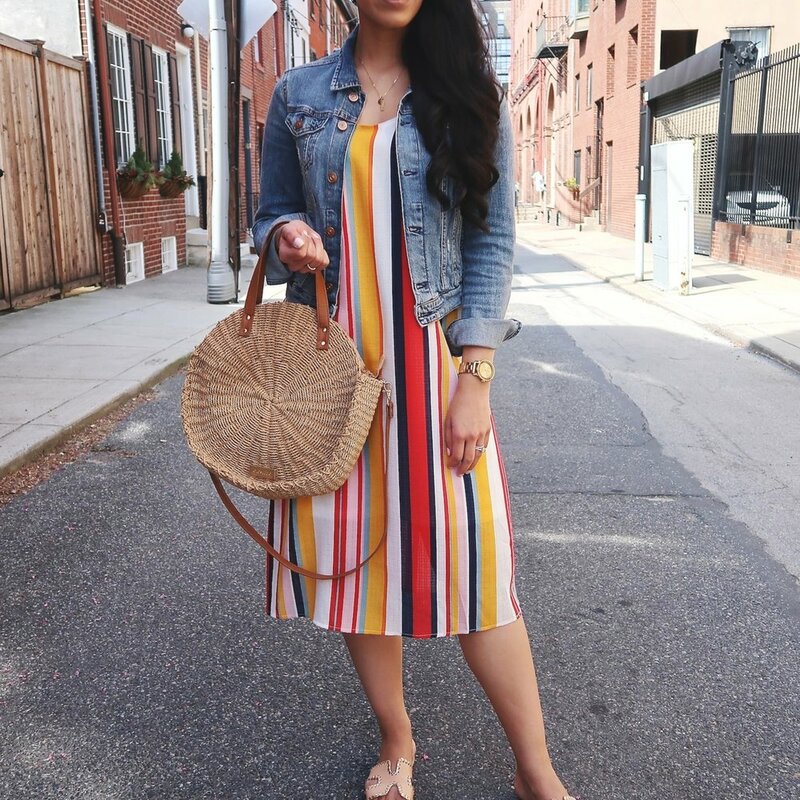 This striped dress is so colorful and comfortable! It’s the perfect spring and summer staple and I know I’ll be wearing it all season, especially when it starts getting hotter. 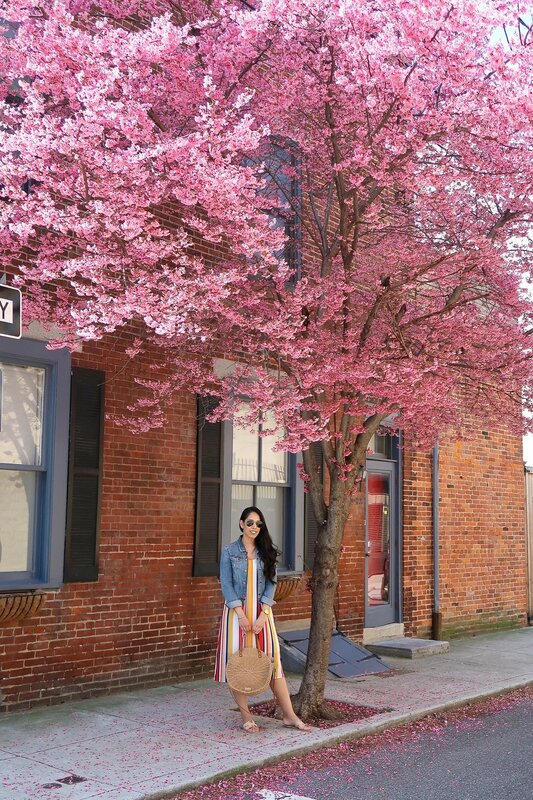 I rounded up my favorite colorful striped dresses below!